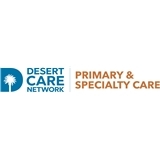 DCN - Specialty Care (Palm Springs) - Book Appointment Online! Muy buena atencion por parte de la dra y el personal queme atendio. I was a great visit! Thankyou! Dr. Khan is amazing!! He genuinly cared about my son & took time explaining things to us. Everything was very well explained. Staff was great! Professional, informative, took time to listen, he explained procedures and diagnosis in an understandable and reassuring manner. I love my doctor, he is very helpful and super nice.